We pride ourselves in our ability to provide our products as and when our customer requires them and our technical support team will assist in overcoming any design or installation complication. A trouble-free installation can be ensured through our expert fitters and engineers . It is this company customer care philosophy that we believe sets us up as the benchmark for the industry. It is our company policy to ensure that the installation of your door takes place within 10 working days from time of order. Current legislation places a duty of care on all building owners and occupiers to ensure that the doors and ancillary equipment on their buildings are regularly maintained by a competent organisation or person. 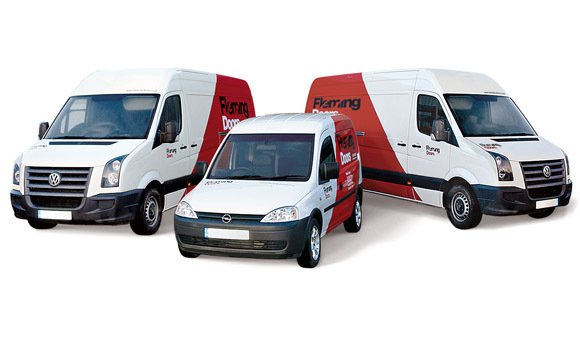 At Fleming Doors we have the ‘Quality Management systems’ in place and staff who have undergone the relevant training to ensure the safe and intended functional operation of the doors and ancillary products following installation. Please do not hesitate to contact one of our sales representatives for our maintenance contract options. In case of the unfortunate happening our trained staff can provide a repair service depending on your level of need. Level 2 – 24 hour answering service for more substantial damage but not at an emergency repair level. Level 3 – Emergency call out where we endeavour to be on site within 4 hours, fully equipped to make the door safe and secure.